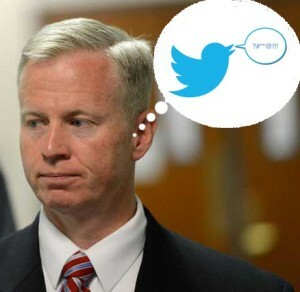 Maybe George Brauchler can be Colorado’s Director of Twitter. Earlier this month, Republican George Brauchler dropped out of the race for Governor — a race he clearly could not hope to win — in order to run for Attorney General after incumbent AG Cynthia Coffman announced that she would be running for Governor. 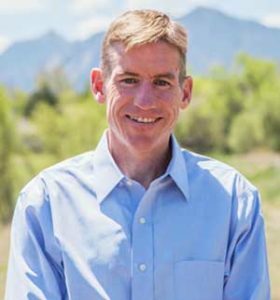 Brauchler said as far back as 2015, the Republican Party tried to get him to challenge U.S. Sen. Michael Bennet, a Democrat who ended up facing a little-known Republican who barely campaigned for the seat. But he wasn’t interested in going to Washington, D.C.
A similar thing occurred earlier this year when U.S. Rep. Ken Buck, R-4th, considered running for attorney general, but decided instead to seek re-election. Brauchler said he wasn’t interested in that seat, either, saying his experience and desire to remain closer to his family outweighed all other considerations. There were rumors earlier this fall that Brauchler was considering running for Congress in CD-4 should Rep. Ken Buck depart in order to run for Attorney General, but this is the first time we can recall that Brauchler has publicly acknowledged this story. This isn’t something Brauchler would have wanted to acknowledge when he was still a candidate for Governor, but now that he’s moved on to a different office, Brauchler is desperate to make you believe that everyone wants him to run for something! All that sounded like balderdash to Democratic attorney general candidate Michael Dougherty, who currently is the assistant district attorney for Jefferson and Gilpin counties. …”Cynthia Coffman ran that office with politics in mind, more so than her predecessors. Now that she’s running for governor, those suspicions are confirmed,” Dougherty said. “Now we have this spot being sought by someone who is running for a different office who is simply looking for somewhere else to land because that race got tough. You had better get used to this joke, George. A man self-admitted to be inexperienced and not professional . . .
. . . this guy’s got every important qualification to be a Republican candidate for — something??? Well, he's a good dancer…. What else do you need? In a dry heave set to music kind of way. This is a hit piece!!!! You're dumping on a guy you're afraid of. Because he's so effective he couldn't get the death penalty for James Holmes. Ah, come on. It can't be a hit piece. The Shirtless Sheriff wasn't mentioned once. for the State Attorney General's post which pays something like $105,000. When is he term limited?